It is commonly believed the only thing that scares an elephant is the sight of a mouse. But scientists have now proved that it is the buzzing sound of bees that gives them the jitters. And this is true of both African and Asian elephants. Scientists from Oxford University played back the sound of disturbed Asian honey bees to elephants in Sri Lanka to see if their reaction was the same to their African counterparts. They found the elephants retreated significantly further away and vocalised more in response to the bee sounds compared to controls. It is the first time that this has been found true for Asian elephants. Dr Lucy King, the lead author of the study published in Current Biology, hopes that the discovery could lead to ways of keeping elephants off farmland. She is a Research Associate with the Oxford University Department of Zoology and head of the Human-Elephant Co-Existence Program for Save the Elephants. She said: “For the first time, researchers have shown that Asian elephants in Sri Lanka are scared of honey bees, much like their African counterparts. “Asia has even higher levels of human-elephant conflict than Africa does and Asian elephants are approximately 10 times more endangered than African elephants. The study was performed in Udawalawe National Park, which has an exceptionally large elephant population. 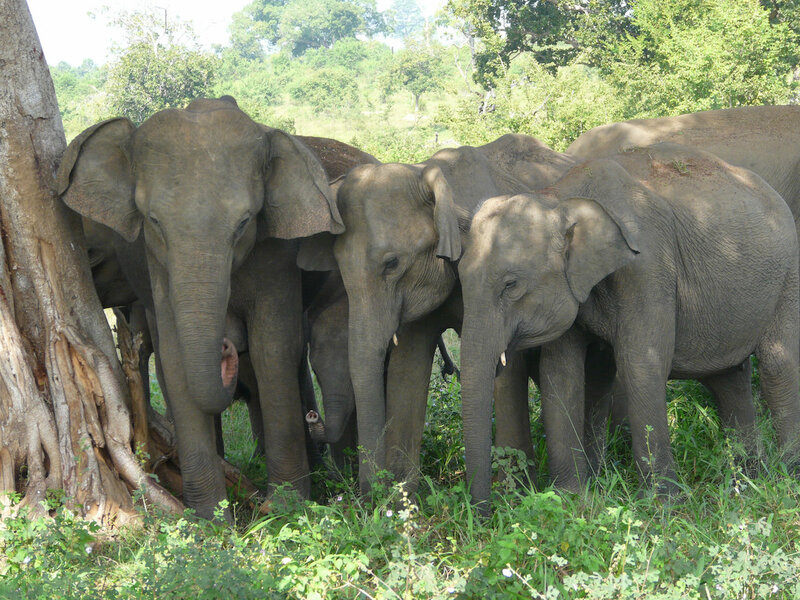 Dr Shermin de Silva, Director of the Udawalawe Elephant Research Project added: “Udawalawe is a microcosm for the issues Asian elephants face, because it is practically encircled by agriculture and settlements. Asian elephants were played the sound of buzzing Asian honey bees at the Udawalawe National Park in Sri Lanka as part of research carried out by scientists from Oxford University. See National story NNBEES; It is commonly believed the only thing that scares an elephant is the sight of a mouse. But scientists have now proved that it is the buzzing sound of bees that gives them the jitters. And this is true of both African and Asian elephants. Scientists from Oxford University played back the sound of disturbed Asian honey bees to elephants in Sri Lanka to see if their reaction was the same to their African counterparts. They found the elephants retreated significantly further away and vocalised more in response to the bee sounds compared to controls. Asian elephants were played the sound of buzzing Asian honey bees at the Udawalawe National Park in Sri Lanka as part of research carried out by scientists from Oxford University. Dr King said: “We have a wonderful community of willing farmers there who are helping us understand if beehive fences could work to reduce conflict in this intensely high human-elephant conflict zone. The initiative is already harvesting honey from the beehives and four beekeeping workshops have been held to boost beekeeping knowledge and honey processing skills. Further Asian beehive fence collaborations are being formed with scientists in Thailand, India and Nepal.